This building has a total of 5 floors, each floor with only 2 apartments, 10 neighbors in total. Community area with pool. The property offers an entrance hall, living room with fully equipped kitchen, terrace, 2 bedrooms and 2 bathrooms en suite, storage room and elevator. It is sold furnished. Laminate flooring, air conditioning hot/ cold. 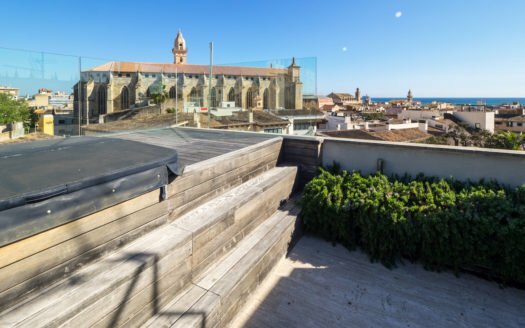 Beautiful duplex completely renovated in the old town of Palma with private pool and 2 garages.